Delclos made the remarks Thursday during an online presentation in which he summarized an important part of a $30 million project called CLARITY-BPA, which was launched in 2012 to resolve questions about the chemical's safety. The results of the rat study had previously appeared in a draft report on BPA (also known as bisphenol-A) released in February. But since then, the research has undergone peer review and revisions, Delclos said. During his online presentation, Delclos provided an overview of the two-year study, which involved thousands of rats given a wide range of BPA doses. Rats that got at least a thousand times more BPA than consumers are exposed to showed effects similar to those produced by the hormone estrogen. These included changes to the reproductive system and a greater risk of reproductive tumors. But at doses meant to replicate human exposure, there was no pattern indicating any health or behavior problems, Delclos said. He declined to comment directly on BPA's safety or the FDA's position that the chemical is safe to use in most plastic food containers. But Delclos noted that government agencies around the world have now weighed in on BPA, and that "most of these regulatory agencies currently conclude that BPA does not pose a risk at estimated dietary exposure levels." BPA has been used for decades in products like water bottles, and in the lining of some food cans. And studies show that tiny amounts can get into our bodies. 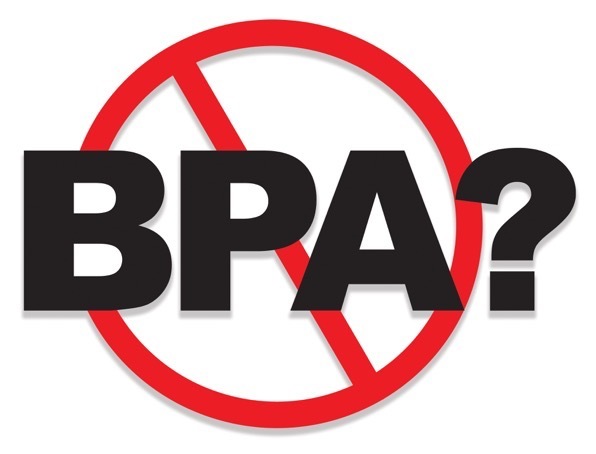 Scientists agree that BPA can act like estrogen. But early government studies found no evidence that people are exposed to enough BPA to produce an effect. Meanwhile, studies by some academic scientists suggested that even low levels of BPA can cause everything from obesity to breast and prostate cancer, to diabetes, to behavioral problems. CLARITY-BPA was supposed to resolve the conflict. But it hasn't. Academic scientists whose research has suggested that even tiny amounts of BPA affect lab animals have raised questions about the government's rat study since the February draft became available. And the day before Delclos' presentation, they held an online press conference to pre-emptively challenge the results he was expected to describe. During that press conference, Laura Vandenberg, an associate professor at the University of Massachusetts at Amherst, said her own analysis of the study data comes up with a different result — low doses of BPA are a problem. "There were significant effects of BPA in both males and females," she said, citing groups of rats that had unusually high rates of breast cancer and prostate inflammation. That sort of risk will be shown more clearly when the second part of CLARITY-BPA is finalized next year, Vandenberg said. That part will feature studies from more than a dozen academic scientists who received CLARITY funding, including some who found that very low doses of BPA did cause health problems even when higher doses did not. But some academic scientists who participated in CLARITY have only praise for the project, and its results so far. A study by Norbert Kaminsky of Michigan State University found that low doses of BPA had no effect on a rat's immune system. "We probably measured about 125 endpoints in more than 700 animals," Kaminsky says. "This study was extremely comprehensive, and I am very confident and comfortable in the results." The debate about BPA is likely to intensify as CLARITY scientists work to assemble their final report next year, says Patricia Hunt, a professor at Washington State University who has studied BPA for decades but is not part of CLARITY. Many academic scientists who specialize in chemicals like BPA think the government's effort is badly flawed, she says, adding that they disagree with the type of rat the government chose and fear that the presence of BPA is some animals who were supposed to be BPA-free undercuts the study's validity. "What we're going to see over the course of the next few of weeks is a lot of fighting because there's a lot of anger on both sides," Hunt says. And all that fighting be misguided, she says, because the plastics industry has already removed BPA from many products. Instead, she says, they have begun using a range of chemicals that are very similar to BPA, but haven't been studied as carefully. On Thursday, Hunt published a paper suggesting that one of these substitute chemicals, called BPS, caused the same effects in lab animals she'd seen with BPA.